Despite simplification measures passed in last year’s Tax Cuts and Jobs Act, the American tax code remains bloated. Decades of explosive growth in the tax code have overburdened taxpayers when filing season comes around. And while increasing the standard deduction and cutting the Alternative Minimum Tax, as TCJA did, will decrease the compliance burden on many Americans, much work remains to be done. A new proposal from three legal scholars in Politico, however, neglects to address the fundamental problem of a convoluted tax code when it comes to making tax filing easier. The authors propose that the IRS pre-fill everyone’s tax forms and calculate each filers’ net tax obligation. They also assert that the only reason this reform hasn’t already been enacted is that members of Congress are in the thrall of tax preparers and other groups who are conspiring to make filing as difficult as possible. This cynical misrepresentation ignores serious concerns about the feasibility of their proposal – known as “ready return” or “return-free” – as well as costs associated with establishing the new program. The argument in favor of ready return is that it will save filers time by verifying and signing the forms pre-filled by the IRS. Supporters point to its use in several European countries. Typically, Denmark, Spain, and Sweden are held up as models for the U.S. to emulate. However, to properly verify the figures the IRS input into the form, filers would still need to keep track of all the necessary paperwork and be familiar with the forms and schedules. There are additional hurdles to its implementation here. For one thing, the U.S. tax system tends to be far more complicated than those of European countries. Significant changes would be needed to simplify the definition of taxable income, with its array of credits, deductions, and clawbacks. The authors also point to a ready return pilot program 88,000 Californians used in 2012 and that this “statewide success should have spurred the IRS to pursue a pre-populated return program at the national level.” The program may have been popular with many of the people who used it, but they only represented just over half a percentage point of all income tax returns in the state that year – a rather small sample size upon which to argue for the construction of a new expensive, federal program. Moreover, many Americans remain rightly wary of a federal agency that has confiscatory powers. The intimidation factor remains a big concern in daring to question the results that the IRS computers churn out for filers. The IRS won’t answer simple questions that people have about their taxes, yet filers should trust it to automatically calculate their taxes? Converting to a new ready return system would also impose significant compliance burdens on employers, financial institutions, and even governmental agencies that administer benefit payments. Any business or organization that writes a check to employees or beneficiaries would have to report that information to the IRS on a new time table so that the agency has time to reconcile all the data and turn around the forms to filers for review. Estimates of the third-party costs, ranging from $500 million to $5 billion, would outweigh the potential savings for the government and taxpayers. 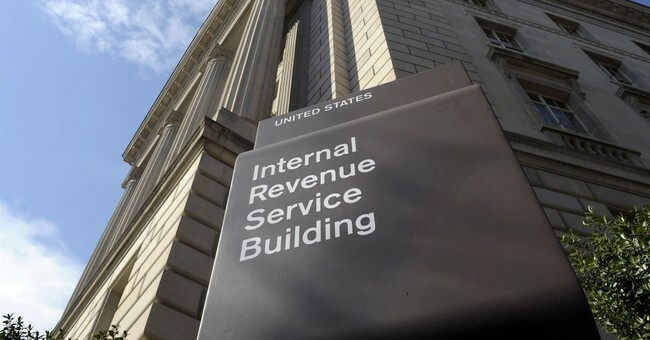 It is also debatable whether the IRS is up to the challenge of gathering, securing, and reporting the financial data necessary to complete the forms. The IRS has already been struggling to maintain and upgrade its existing technology and respond to taxpayers’ correspondence in a timely manner. One study on the proposal noted that for the system to work, the IRS would need “to compress all of the return-free computer-matching and computer-analysis tasks – tasks that now consume seven months – into a period of one to two months.” A major new investment in technology and manpower would be needed to implement a ready return program. So let’s not be deluded into believing that this would be a “free service” from the IRS. These new costs would ultimately fall on the taxpayers. It’s not just that new expenses will be added. The proposal’s authors assail a program that has successfully saved millions for taxpayers. The Free File Alliance is a public-private partnership between the IRS and more than a dozen online tax preparation firms to provide free taxpayer assistance to low-income individuals. This service has saved consumers and taxpayers more than $1.5 billion in overhead costs since its inception. These savings also accrue for the IRS itself due to the efficiency of processing fewer paper returns. There are actual policy concerns involved here that refute the law profs’ unfair portrayal of the politics and history surrounding ready return. Rather than undermining a successful tax preparation program that saves money, the best way to ease filing burdens on individuals and businesses is to continue to address administration challenges at the IRS and complexity challenges in the Tax Code.